Have recorded some TV shows with Windows Media Player and want to convert to other formats? Wondershare DVR-MS Converter is a great help. It enables you to compress DVR-MS files to a smaller size, convert DVR-MS to AVI, MP4, MPEG, WMV and more, as well as convert DVR-MS files to play on all popular devices like iPhone, iPod, iPad, Xbox, and so on. Step 1 Add DVR-MS files to the program. When the installation is complete, launch the program. In the primary window, add DVR-MS files by clicking the Add Files button and selecting them in the Recorded TV folder. All added DVR-MS files will appear as thumbnail on the left tray and as a frame on the possible DVD menu. Or just open the target videos from the folder, then drag and drop DVD-MS files to the program. Depends on the operating system, the recorded TV location is different. You may change it through Windows Media Center menu. 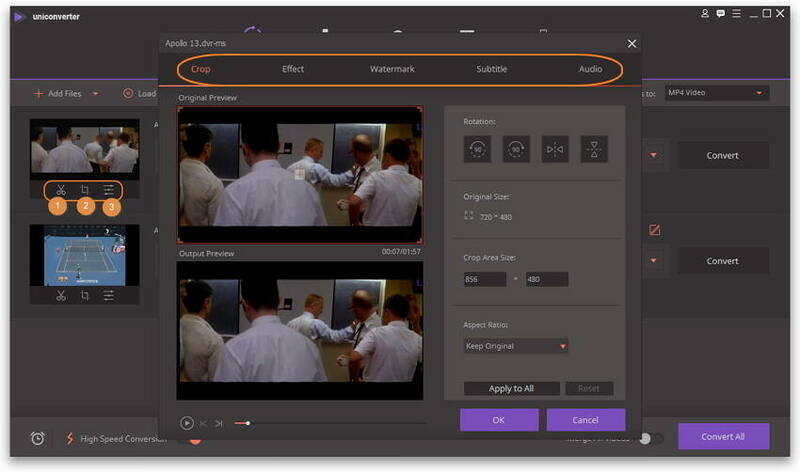 If you want to edit a DVR-MS video in Wondershare DVR-MS converter, just highlight it and right click one of the Edit options for video editing tools like trim, merge, crop, rotate, watermark, effects, etc. Step 2 Choose an output format. All popular video formats are supported to convert DVR-MS files, including any regular video format (WMV, AVI, MP4, MOV, MPEG, etc. ), and even the 3D version. Choose a format from the output format list and make settings by hitting Settings icon if necessary. Burning DVR-MS to DVD is a good choice if your hard drive space is running out. This DVR-MS converter also allows your to author an intuitive DVD menu from template. If you import files in the Burn section instead of Convert section. Add the DVR-MS files to the Burn section like what you did for the Convert section. Note that you can select a DVD menu template for your DVD. You'll need a DVD burner drive and DVD discs to accomplish. As you can see, the output profiles have been well categorized for you to find an output format quickly. All popular devices are supported, like iPhone, iPad, iPod, PSP, Xbox, BlackBerry, etc. From now on, you can easily watch TV shows on computer and your portable devices! Step 3 Preview video and start converting DVR-MS. It's safe to preview your DVR-MS video before converting DVR-MS to other format or burning to DVD. When you're happy with the preview, click the Convert or Burn button to complete the tasks. 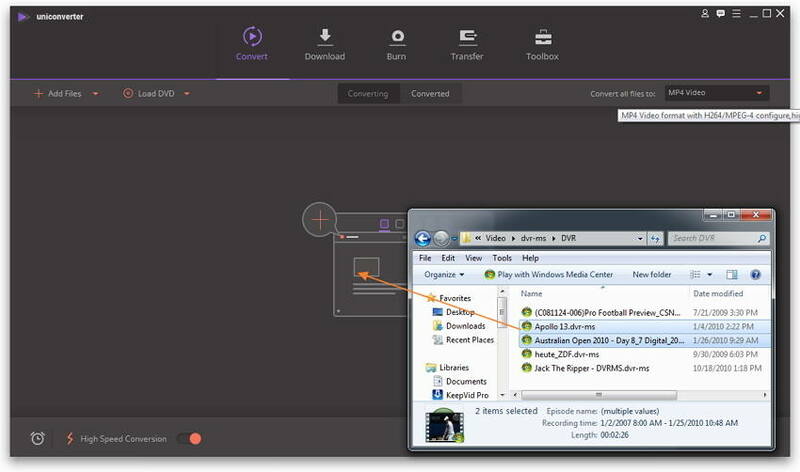 DVR-MS, short for Microsoft Digital Video Recording, is a proprietary video and audio file container format developed by Microsoft. It's designed for saving TV content recorded by Windows XP Media Center Edition, Windows Vista and Windows 7. Similar to the ASF (Advanced Systems Format) format, Multiple video or audio streams are included in a special format with the file extension .DVR-MS. Metadata and digital rights management information are also stored in the DVR-MS files. Windows Media Center in Windows XP Media Center Edition, Windows Vista and Windows 7 will generate DVR-MS files. The protected DVR-MS files can only be played by the recording device. However, unprotected DVR-MS files can be watched and edited on any device running Windows XP or later Windows operating systems. To play DVR-MS files on more devices like iPhone, iPod, iPad, PSP, a DVR-MS converter is necessary. By the way, DVR-MS might be replaced by Microsoft WTV format, but you can still convert WTV to DVR-MS in Windows 7. Learn more about the technical specifications of Wondershare DVR-MS Converter for Windows. Convert DVR-MS videos to virtually any format. Burn DVR-MS videos to DVD disc for watching on TV with home DVD player. 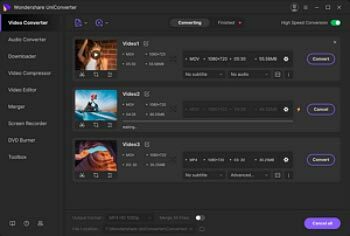 Edit DVR-MS videos with built-in tools before converting and burning. Convert DVR-MS video to 3D for watch with 3D glasses. Convert DVR-MS to HD WMV, HD AVI, HD MP4, HD MPEG, HD MOV, etc. Download and capture web videos to regular format.